They then calculated that if no combustion of fossil fuel or biomass were used to generate energy, and virtually everything was powered by electricity - either for direct use or hydrogen production - the demand would be only 11.5 terawatts. That's only two-thirds of the energy that would be needed if fossil fuels were still in the mix. Great. And what does it cost? This article is sheer lunacy - no mention of financial cost, near term environmental impact, energy loss due to transmission distance, land loss due to new transmission lines, pollution due to wear and tear on all those new batteries... wow. I don't buy that there's enough platinum to make batteries for all the world's commercial utilities AND all the vehicles AND all the homes. Step 1 for these guys: come up with a newer battery design that is far more efficient (as is, 100 times more efficient). Without that, there's no way to "power the world" without nuke/coal/biomass power plants. Problem is, if we get cheap clean and enery, the world population would expload. How does this follow? We see a population explosion in the countries which use the LEAST amount of energy - not the most. This answer is sheer lunacy since environmental impact of sticking to the CURRENT way of doing things and the financial cost of sticking to dwindling resources as fuel for our energy needs far, far, FAR outweighs those of the alternative energy model. No one said that alternative energy schemes would be free/non-poluting. But by comparison they are, inthe long term, cheap and eminently eco-friendly. Just picture the cost of man-made global warming. That will be in so high (if it doesn't kill us all) that we could switch over to other energy schemes for a tiny fraction of it. Excuse me? If you remove these generation facilities the demand doesn't drop. You have to build capacity to replace them not pretend the usage disappears with the generation facilities. 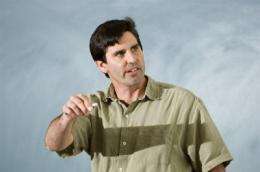 Just today-10/19- two stories appear on physorg touting new ways to greatly increase both capture of sunlight and conversion to DC current. We can probably expect further gains in this direction. Solar technology, along with wind and hydro-derived power can be deployed globally, and in many cases can be co-located with or replace existing generation facilities. And since most of the transmission capacity is already in place, it appears possible to replace the fossil fuel burning technology with clean production at a cost and environmental impact that would make it pretty attractive long-term. Not to mention jobs created, and the ability to use carbon-based materials that will have a carbon-capture effect, while at the same time reducing carbon emissions. Need to look very closely at the numbers, but seems far more effective a strategy than continuing to fuel power generation with a dwindlingly available and ever more expensive resource. it takes more energy to make a polysilicon cell than it puts out in its 20 year lifetime. there isnt enough energy in light, thats why plants dont run. With decentralized production you have less transmission losses. So the demand actually goes down. It's a defined output so there's no need for colocation. Why wouldn't you just use nuclear? Because it's a finite energy source and you'd be back to square one. It's also very polluting and costly if you factor in the storage for the waste (and which country will be around for 10000 years to manage that? There isn't a country on this planet that has lasted for more than a two thousand in its current state and not one with a fundamental change of governemental STRUCTURE in the last few hundred e.g. feudal to dictatorship to democracy). Do you really think that under such circumstances anyone can guarantee safe handling of these wastes until they are no longer a grave health hazard? I think this is no longer true of modern, high efficience solar cells. Certainly not of the organic types. This article, like so many, lacks specifics. One would have to analyze the findings, not this or even the Sci-Am article. No doubt a lot of critical assumptions are made. 1) Storage and recovery when the sun doesn't shine and the wind doesn't blow in the optimal manner that manufactures use to write their output specs. 2) Getting the energy from many locations where various, constantly shifting portions are being generated to where it is stored and where needed. Today the grid is largely static, with heavily utilized wires strung from a few "constant" producers and distributing out to users. In this new vision, chasing the energy will be more like a shell game with wires strung around to cover many scenarios. 3) At least large scale wind power has some prolonged return on investment. Including what it takes to make decent cells, solar has farther to go to be economically competitive at generating large amounts of power. Oh I'm sorry, I didn't realize you were a GW true believer. What are you doing here on a science forum? That was so in the early 1970s. Modern solar systems recoup the energy input many times over. Stop propagating old "factoids". But it's just idiotic to ignore the potential for advanced fourth generation nuclear power in such scenarios - some fraction of the power supply needs to be independent of bad weather. Because it's a finite energy source and you'd be back to square one. Once through fuel cycles use a 'finite' resource - though the total is a lot bigger than using the figures for current reserves based on currently extractable ores might lead you to believe. However any environmentally sensible nuclear advocate can tell you that integral fast reactors and thorium reactors can extract 30 - 100 times more energy out of the same amount of ore. In the case of uranium, burning U238 makes extracting uranium from seawater viable. The Japanese have been researching that particular concept for the last +25 years or so because there's billions of tons of uranium in the oceans. And it's continually washed into the oceans, thus it's ultimately a renewable resource that will last as long as the oceans and the processes of geology. About a billion years. While I agree with most of the article, several points are wrong. ICE's get only 7% of the fuel's energy to the road. EV's get 20-70% depending on the source. Combustion can be far more eff than said with up to 70% eff through triple cogen. 95% of biomass will become GHG's whether burned or not so it makes no sense not to use it for the peak power needed. This makes far more sense than the massive grid needed to replace which itself will make more GHG. H2 is not a fuel but an ineff energy carrier. It's rarely more than 25% eff if the total energy cycle is taken into account. Thus fuelcells are not eff. For those who think this will be expensive, it will be fossil fuels that will cost far more. For instance a wind generator can be done for under $2k/kw, a solar CSP can be done for $3k/kw and 3kw of heat. A river/tidal kinetic generator is $2k/kw and enough baseline resource to replace all coal, nuke in the US. Biomass is under $3k/kw and can be used for chemical feedstock. Continuing, Coal is $4k/kw, nuke $8.5k/kw plus fuel for both. Solar can be used to split CO2 and water reformed into HC's with no GHG additions. Once these simple RE machines are in mass production a family of 4 for under $10k can have a home and cars energy for 50 yrs with minor maintaining. That is far lower than fossil fuels ever could. There is no shortage of energy, just a shortage of the equipment to catch, make and use it. And it's not just GHG's why we need to do this but our national and economic security that demands it or we'll be broke and in constant wars. By having stable energy sources like RE that can't be used up or embargoed or forced up in price will go a long weay to balance the budget, make jobs and keep us out of oil, energy wars. If Oil & Gas have peaked, and will certainly be used up quickly once the Chinese and Indians start using cars more the Oil & Gas will be gone withing 20 years. In the meantime with Oil & Gas truly being reduced and prices rising the market for alternatives will heat up significantly providing alternates to Oil & Gas by the time they run out. Voila, no need for CO2 laws. Only need to replace coal with Nuclear. Simple!